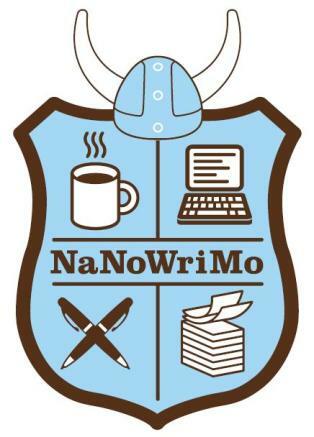 Tomorrow is the first day of NaNoWriMo -National Novel Writing Month. Starting tomorrow I am going to write 50,000 words in 30 days. I have tried this twice before and failed both times, normally only a few days in. But that was back before I became “The Finisher”. My super power now is to start stories and –wait for it- Finish them! A few of them have been as long as 5,000 words. So now I am going to do ten times that on one very long story. This has me feeling a little bit of anxiety. Today I feel confident for the most part, but yesterday afternoon I wanted to give up this whole being a writer thing all together and go back to counting other people’s money. I did not do so well on those goals from the start of the month. I sold plenty of copies of my book, but my friends who want the book now already have it for the most part so next month I have to find a way to reach more people I don’t know. I only submitted four stories to publishers, not the ten I had planned. Maybe I can get a few more in today. I have one really good one that has not been submitted any place yet. I only finished one story this month, but I am half way done with another. I don’t have an outline for the book I am starting tomorrow, but the idea is more solid than it was. And as you know I did not write 2 blog posts a week. I am going to be traveling some this month which will make this even harder. So I need to really work at it the first few weeks so I have a little slack in the middle of the month. My goal is going to be 2,000 words a day, which if that worked out would be 60,000 words. So right off the bat I have 10,000 words of wiggle room. A few days ago I went to a kickoff event, here in Nanolanta. And I am going to try to go to several write-ins and regional events. I feel like this social aspect will help push me along and make me work a bit harder. It also might be a good place to make friends who have a similar interest as me. Social things are hard, especially doing them without someone I already know for support. So this might also be good for me in that way and help me get more dealing with other humans XP. One last thing, for anyone who is reading this who is both in Atlanta and doing NaNo this month.